NO. 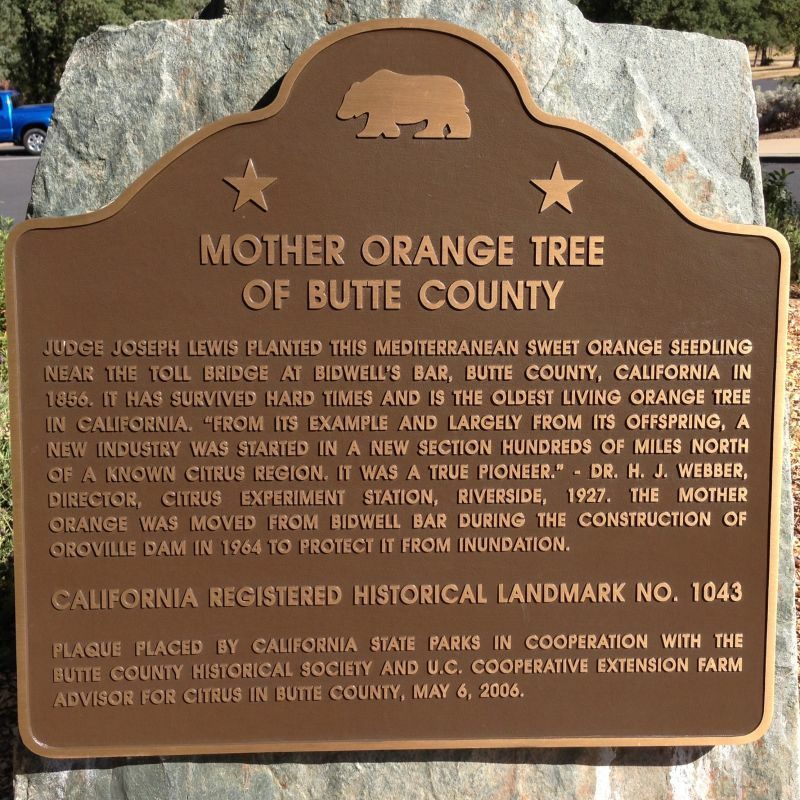 1043 Mother Orange Tree of Butte County - Judge Joseph Lewis planted this Mediterranean Sweet Orange seedling near the toll bridge at Bidwell’s Bar, Butte County, in 1856. 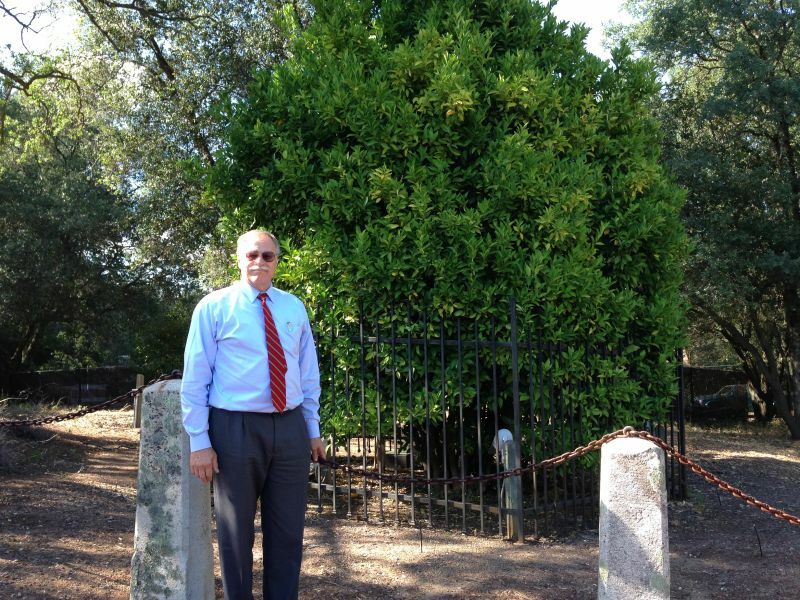 It has survived hard times and is the oldest living orange tree in California. 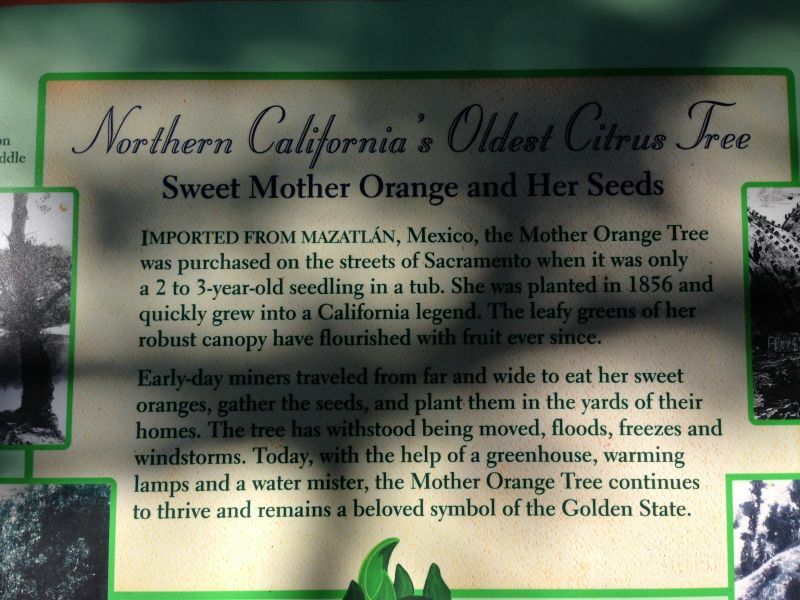 “From its example and largely from its offspring, a new industry was started in a new section hundreds of miles north of a known citrus region. 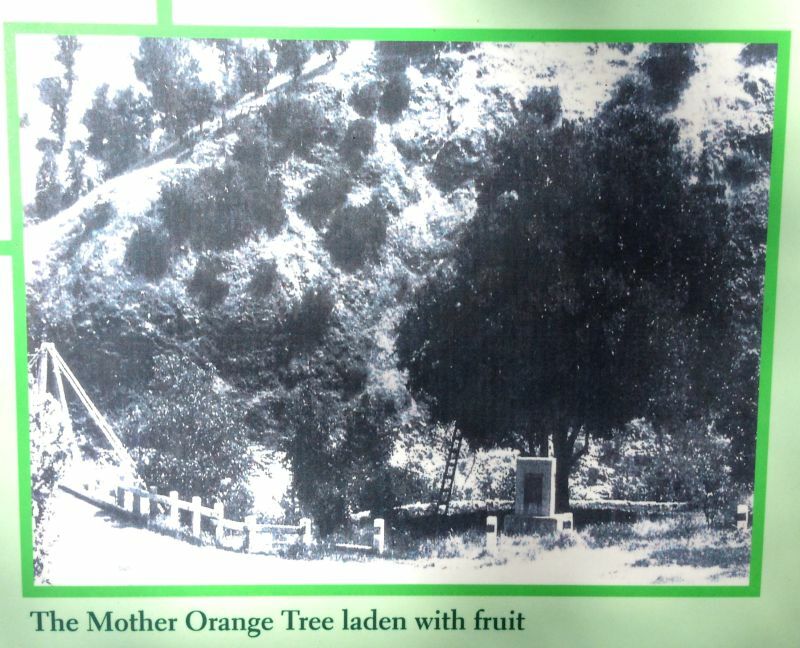 It was a true Pioneer.” – Dr. H. J. Webber, Director, Citrus Experiment Station, Riverside, 1927. 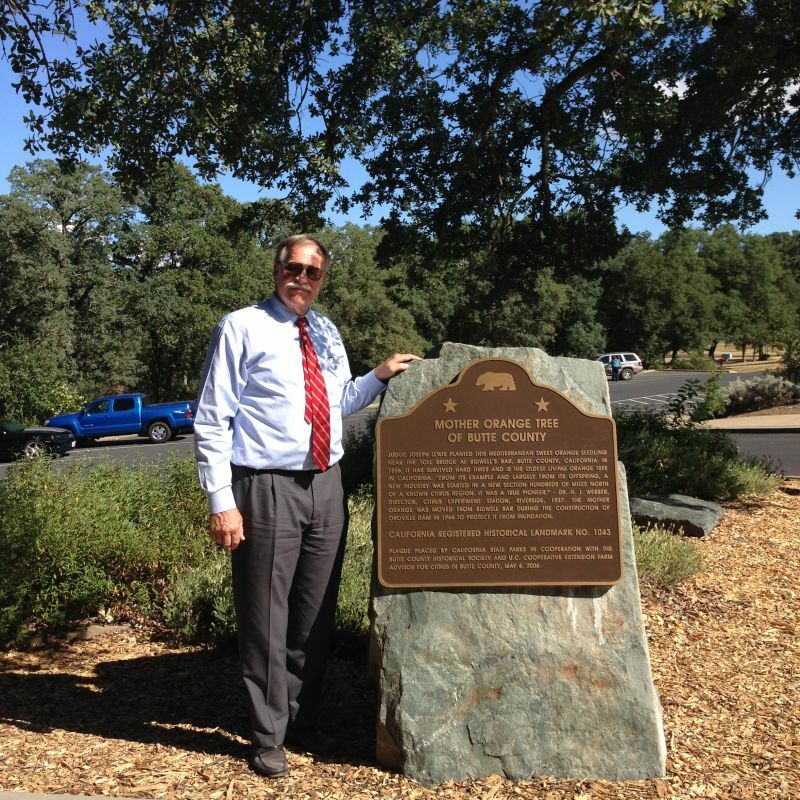 The Mother Orange was moved from Bidwell Bar during the construction of Oroville Dam in 1964 to protect it from inundation.